It's an ode to Texas, with a vibe that—believe it or not—is reminiscent of Fandango, No Country for Old Men, and Lone Star (in a blender). 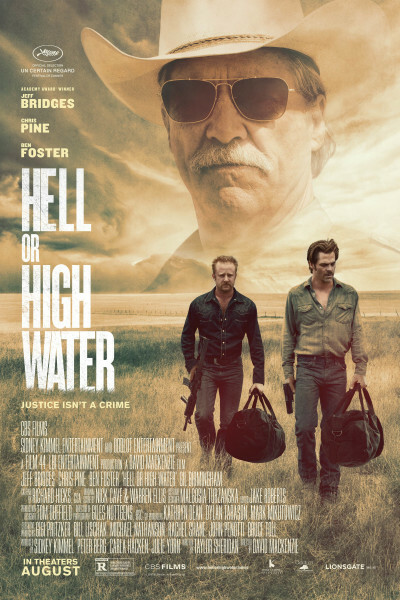 Written by [Texan] Taylor Sheridan (of Sicario fame), it shows through and through. "What are you trying to do, piss me off?" "Whaddaya mean?" "You got me a Mr Pibb and called it Dr Pepper." Now that's Texas. Good grief: I say this weekly. Tons more wonderful inside jokes where that one came from, and everyone from Jeff Bridges and Chris Pine to Ben Foster and Gil Birmingham shine. You'll wanna sop 'em up with biscuits.